Unwanted guests are never fun, especially when you can’t ask them to leave. 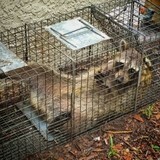 Luckily, Naples Park pest control companies have no problem kicking them out. Whether there’s a rodent in your basement or insects in the attic, call your local Naples Park exterminator to take care of them — do not try to wrangle them out yourself! Not sure which type of home pest control service in Naples Park, FL can tackle your issue? Read profiles and ask about their past experiences to get a good idea. Say goodbye to your pest problems today! As the pest control experts from Cape Coral to Fort Myers and all of Lee County, Irvin Pest Control has been treating homes and commercial businesses in Southwest Florida since 1980. Our pest control professionals will keep your lawns, shrubs, homes and businesses free from bugs so you can enjoy your property pest-free. Have ants, fleas, ticks, roaches, rodents, bees, yellow jacket or wasp problems? We take care of it all. Contact us today for a free estimate! Woodpecker proofing, foam and stone, manufacture and install. 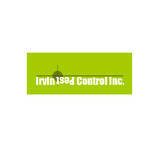 Pest Control and Fertilization Company.We’re not just an ordinary company! We strive to deliver unparalleled service and professionalism superior to our competitors. Don’t take our word for it though. Keep on reading to see exactly how and why we are the go to choice when you need your home done right. We are a Florida L+O and GHP licensed company and fully covered by insurance. 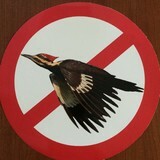 Unlike many fly-by-night operations (unlicensed or uninsured). Take the time to view our site, learn about us, and what we have to offer. We have created a wealth of information in our Knowledge Center and Featured Accounts so you can better understand what you need on your property. This puts you in the driver’s seat, and not a salesman! Once you’re certain Terra Garden Solutions is the company for you, give us a call or get your estimate conveniently online. Most of our accounts are estimated conveniently online or over the phone. Are you looking for friendliest pest control in Naples? Imagine dealing with someone who treats you with the same courtesy they would their best friend, gives you the same advice they would a member of their own family and even has the courtesy to put rubber bags over his shoes before entering your home. Oh, and does things like "changing the type and flavor of bug baits" each visit so bugs and other pests do not learn to avoid them or become immune to them. Hi, I'm Phil Flannery of Pest Control Of Naples (By the way, we do all of SWFL) My family owned and operated business has two goals. The first is to keep your home pest free. The second is to make you so happy you recommend us to all your friends. Pest Control of Naples is the friendliest bug Company in town. Phil Flannery is the owner of Pest Control Naples and wants to make you his next customer. My staff and I can rid your establishment of all unwanted pests in a cost-effective and environmentally conscious manner. Pest Control of Naples treats both Residential and Commercial properties. Do you have ants, termites, cockroaches, bed bugs or other pests? The earlier you address a pest problem, the sooner you can rid yourself of a more serious pest infestation. Pest Control of Naples has the experience and expertise to rid your home and business of pest infestations and protect your property from pest threats while maintaining your quality of life. We are committed to our customer’s total satisfaction through integrity, hard work, and exceptional customer service.. We continue to educate all of our service personnel on the latest industry breakthroughs and developments in order to deliver our customers the best service possible. Our company has grown through the years mainly by referrals from satisfied customers. We appreciate your business. Accurate Pest Solutions, LLC,. a family owned pest control company servicing all of southwest Florida. Our goal is to provide both, a superior customer experience and tremendous value for our customers. We have over 12 years of experience in the Pest Control Industry and are passionate about exceeding your expectations. We love our customers and welcome your feedback and suggestions. Use our Contact Us page to tell us what we’re doing right or what we can improve on. Please read our google reviews and if you are our current customer and love our service, please leave a review right from our website. Our pest control services includes Fort Myers and it’s surrounding areas such as Cape Coral, N. Fort Myers, Estero, Bonita Springs, Fort Myers, Beach, Sanibel and Captiva, and expanding to Collier and Charlotte Counties. To schedule a Free Inspection, call us at 239-333-1449 or fill out the form on our Contact Us page and we will respond within 2 hours or if after 3 pm, we will respond the next business day. We are licensed and insured! Everyone deserves the comfort of knowing their Southwest Florida home is safe and free of pests. American Allegiance Pest Control guarantees year-round protection from all forms of pests with a contract service plan. Pest problems are common during seasonal changes. In the winter months, rodent activity is a common problem since the cold winter months drive some animals to look for warmer, cozier environments. During the spring in Southwest Florida, you may experience problems with ants. American Allegiance Pest Control's year-round pest control services will help eliminate and control these common pest problems. We have been in the animal removal industry for some time now and seen first hand the lack of honesty and hard work. It became our goal to use our knowledge to provide customers with quality service they can count on from people they can trust. Bugs-or-Us is proud to offer top of the line pest control services, while keeping the customer happy with budget friendly solutions to their pest control needs. We handle almost all pest control issues in the SW Florida area! We've got you covered with professional control of ants, bed bugs, fleas, bees, wasps, and much more. Our Florida pest elimination company objective is to have the best people possible serving our clients. It has been part of our culture from the beginning to hire well qualified people with past industry experience for our service positions. Neotec trains all employees on a continual basis well above requirements set by the state of Florida. All of our employees participate in classroom training several times throughout each year. Our goal is to strive for better Florida pest control methods to resolve pest issues safely and effectively for our customers. All of our employees who are state certified must participate in continuing education classes approved by the state of Florida on a yearly basis in order to maintain certification with that state. Neotec is licensed, certified, boned and insured in the state of Florida. 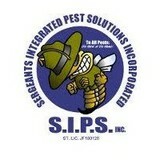 All U Need Pest Control is licensed and insured. Our Pest Control experts take great care in protecting your home, family and pets with only environmentally responsible pest prevention techniques. All U Need Pest Control proudly serves all of the Southwest FL area – Lee County, Naples, Fort Myers, Cape Coral, Bonita Springs, Estero, Lehigh Acres, Sanibel, Captiva, Pine Island and surrounding areas. 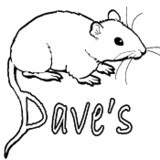 We are here for all your pest needs. Call us today (239) 424-8742 for your FREE commercial or residential inspection. All “U” Need Pest Control, Inc. guarantees your satisfaction. If there is a problem with any part of your service we will come back at no cost to you, and re-service your home. Your satisfaction is important to us!